Nose: moderately strong intensity which becomes very strong after 10 minutes in the glass; delicious dark-fruity (plums, black raspberries, currants, black cherries) rye nose with an overlay of floral perfume and spice of cloves, black pepper, allspice and cassia. Very nice. Water raises the pitch and brings out high-pitched sweetness, but diminishes complexity. Score: 23/25 neat; 22.5/25 with water added. 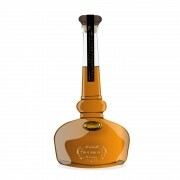 Taste: rich clean spicy rye, with the fruits and perfume from the nose also manifesting on the palate. Wood influence is strong, but is very well balanced by the strength of the yeast-modified rye grain flavours, viz. the dark fruits and flowers. Strong intensity of all of the flavours. Water added emphasizes the wood flavours. Score: 22.5/25 neat; 22.0 with water added. Finish: long and strong finish, dying late on some sour wood flavours. Water diminishes the sour component on the finish, but weakens the grain flavours. Score: 22/25 neat; 21/25 with water added. 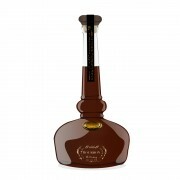 Balance: this is the classic upscale US rye profile, featuring fruit, spice, and oak, with some floral elements added. Four years in new oak in the hands of the Willett staff gives a very mature product, far past the quality of most brands. Score: 23/25 neat; 21/25 points with water. Total Sequential Score: 90.5 points neat; 86.5 points with water added. Comment: I titled this review "Outlier" to highlight that these Willett Family Estate Bottles are now rare. Almost everything they produce turns out best in class, even at 2 years old. Three or Four years ago I could buy these in a liquor store. I cannot do so now. In fact, Willett Family Estate Bourbons and Ryes, all single barrels at barrel strength, are so rare and scalped that a person cannot even reliably buy a single bottle of any one of them even at their distillery of origin. You can tour the distillery, but Willett Family Estate bottles are only available very rarely for sale, even at the distillery. Why? Because they are all worth 3 to 6 times their value for anyone who succeeds in buying one. The Willett/KBD= Kentucky Bourbon Distillers people are still trying to figure out how to distribute these bottles. I am glad that I have several of them on hand already, because I do not know how to buy any more of them. If you get the chance to buy one at a non-scalper's price, do so. 27 days ago 1Who liked this? @Victor I am glad to finally read this review! I believe that I scored this about the same as you somewhere around 90 points typically. I can't remember when I gave you this sample, but I know it has been several years. This bottle was #5 of 174 and I opened on 3/7/2014. I have no idea how long the bottle was open or how low it was when I poured off the sample. Sorry. Was it a sample bottle I gave you (with my hand writing?) or was it something you poured off on one of our visits (so in your handwriting)? If I knew that we could probably figure that out. I do know that I have another bottle of this (#21 of 174) still unopened and in my stash. 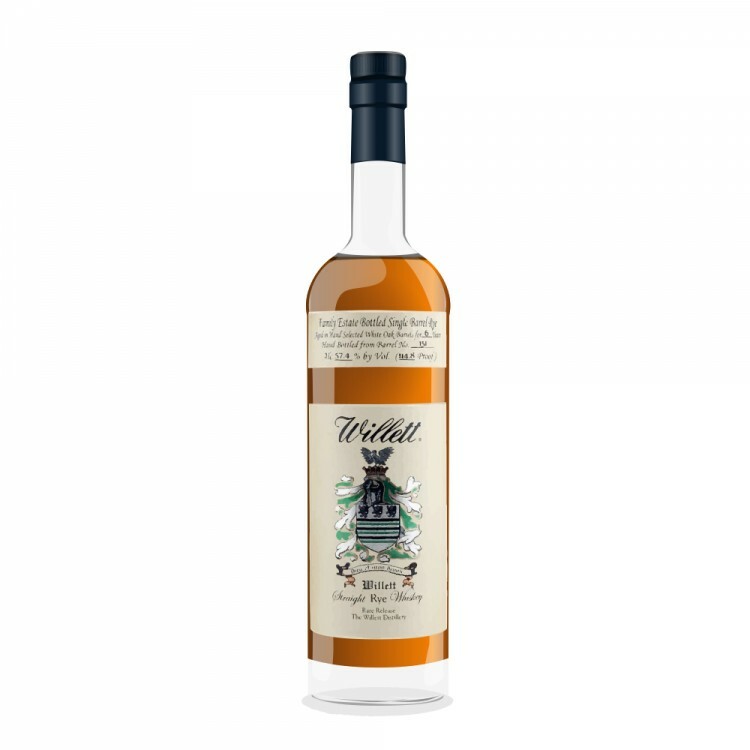 So I have this 4yo sourced from LDI/MGP and now a 4yo from Willett at 55.8%. Some day this will make a nice Head-to-Head comparison. @Nock this review was from a hand-written sample bottle which you gave me, earlier, I think, than your 2017 visit. Amazing, isn't it, at how much better some folks are at aging the same, e.g. MGPI, distillate, than are others? Willett does such a great job that they haven't yet figured out a way to sell their product without most of it winding up in the hands of scalpers. My great hope is that with the hundreds of new US distilleries opened up recently that a few of them will get to be this good. We need a few more Willett and Anchor Distilling quality producers. 291 Distillery is one very good recent one, but they don't sell their stuff out East yet, and while it is excellent, it costs $ 80-100 for an excellent young rye. Is it worth it? Yes, I would pay that for sure, if I were low on high quality rye whisk(e)y. I might pay that anyway, because I greatly admire what they have done. I've long thought that if I were to go into the distilling business my goal would be to produce something like Old Potrero. I would be delighted if my product turned out to be nearly as good as is Old Potrero. 26 days ago 2Who liked this? @Victor I agree with your sentiment. I wonder if you have tried anything from Turley Mill? 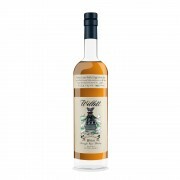 I was chatting with a guy not long ago about Willett Rye. He just went on and about how Turley Mill had also sourced some Rye from MGP and was putting out fantastic cask strength bottles. @Nock I don't know Turkey Mill Rye, but it sounds like I would like to have a taste of it. @Nock did you see that there will be an Ardbeg Supernova 2019? 2015 Supernova was publicly announced to be the last of it. I guess that they realized that it was too popular to drop. Good. No, not good, EXCELLENT! About your comments about the Bruichladdich Islay Barley, I can read the handwriting on the wall here. We have lots and lots of Bruichladdich Unpeated Islay Barley 2010 in MoCo for $73.99 plus 9%. @Victor I sent you a PM about Supernova. But that price on the Islay Barley is on the steep side. It was $65.99 here with only 6% sales tax. I did pick up my first bottle at that price. It was really good. I would pay that again for a single bottle of the 2010 Islay Barley. Especially if it was the Port Charlotte Islay Barley. I think that is even better. Let me know when that 2010 Islay Barley goes on sale . . .
Oh, it is also a WONDERFUL malt to blend with. I love adding various peat (Ardbeg, Laphroaig, Longrow, Lagavulin) and sherry (Macallan, Aberlour, Benromach) to see how it reacts. So far there is little it doesn't do well. But again you have to love that farmy style. And for the life of me I don't remember if you like that animal manure/animal body/hay style. I would think you would like it . . . but I can't remember.